Living in a log cabin between a creek and a set of railroad tracks in a small mill town in South Carolina with her two sisters and two older half siblings, Erin Thomas didn’t have much in the way of material things growing up. When she was 11, her parents divorced. “It was hard,” she said of the breakup. But that same year, Thomas and her best friend decided to join the middle school band, and the decision turned into a welcome diversion from the troubles at home. She rather randomly chose the French horn, a choice that would lead to a career that many musicians could only dream of. She had the ear and the chops to play the brass instrument, and soon she was making a name for herself as a talented young musician. After high school, Thomas moved to Nashville — where she still lives — to attend Trevecca Nazarene University and be a part of the city’s thriving music scene. Her talent opened many doors and for more than a decade, she was one of Nashville’s premier French horn players. In addition to performing with the Nashville and Chattanooga symphonies and playing numerous recording sessions with the renowned Nashville String Machine for artists including Garth Brooks, Keith Urban, and Carrie Underwood, Thomas toured with some of country music’s biggest acts. But in the fall of 2009, something happened. She picked up her French horn and “everything seemed out of whack.” Her playing, which had come naturally for so long, now took a concerted effort, and even with extra attention, didn’t sound the same. “All of a sudden, it was like my muscle memory was gone,” Thomas, 34, said during a recent phone interview from Nashville. “I didn’t know what was happening.” For two years, she “played through it” — all the while meeting with medical professionals and trying to retrain the muscles in her lips to compensate for what doctors ultimately diagnosed as focal dystonia, a neurological condition that affects a specific muscle or group of muscles. Thomas, married to musician and artist manager Brian Horner and the mother of a toddler at the time (daughter Anna Kate is almost 5 years old now), knew her level of playing wasn’t up to par, and made the only decision she thought she could: to put down her French horn. But then, sensing her frustration, a neurologist in New York with whom she consulted for her injury, suggested that she pursue another musical outlet to help fill the creative void she felt. 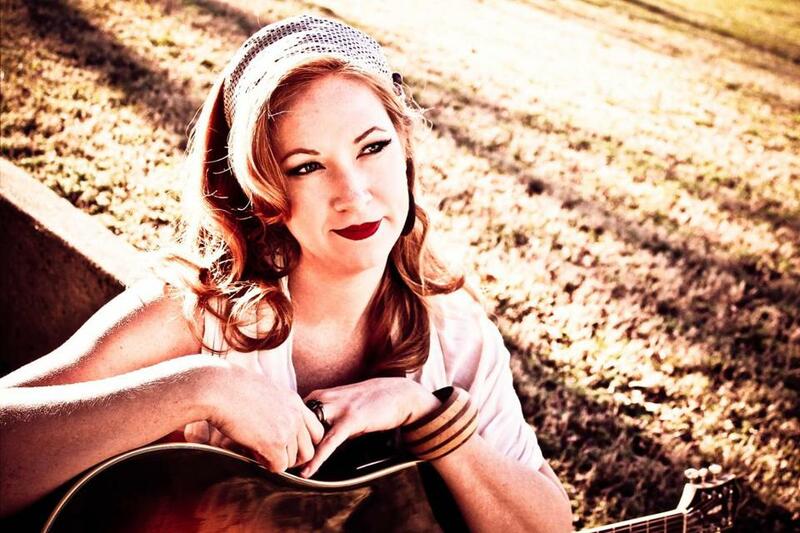 When she returned to Nashville, she picked up her husband’s guitar and began teaching herself how to play. “It came pretty easily to me,” said Thomas, who always enjoyed singing. She soon started writing songs and formed a recreational band with some of her friends. Before long, they were playing covers and original material at house concerts, and Thomas started doing some individual gigs and honing her craft as a solo artist. But crazy it’s not. Thomas, who describes her sound as “folk that’s influenced by simple, airy acoustics with bluegrass instrumentation,” is opening for Round Mountain at Club Passim on Thursday. Less than a year after putting down her horn, and with more than a dozen songs written, Thomas released her debut album, “You Don’t Know Me.” Not only did it debut in the Top 10 on US Folk Radio chart on www.folkradio.com, but it has been getting rave reviews from critics and other musical artists — including country legend Vince Gill, with whom Thomas sings a duet on the album. Thomas was in the backing orchestra on two of the “Simply Christmas” tours that Gill and wife Amy Grant headlined in 2003 and 2004. Thomas said she was beyond thrilled when Gill agreed to perform with her. She still has the voicemail he left agreeing to sing the duet, “That Kind of Love,” saved on her phone. “I can’t bring myself to erase it,” she said with a laugh. The South Carolina native said she is looking forward to touring, and especially to performing with Round Mountain at Club Passim.